As uncertainty among Austrian Airline´s workforce is rising, the marketing officer at Emirates, Thierry Antinory, wants to attract AUA´s aircrew. The management of Austrian airlines must find an agreement with its pilots until March 13. A solution is not in sight. Austrian Airlines does not face strikes. Not only AUA´s management is under pressure. Workers fear a new foundation of AUA or a re-sale. 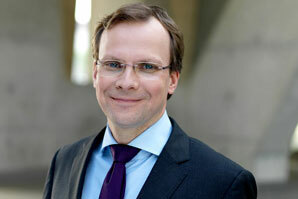 Karsten Benz to become new Chief Commercial Officer and succeeds Andreas Bierwirth. The supervisory board will decide on the change of management on 13 March. Andreas Bierwirth, member auf Austrian Airline´s management board, will exit. It is supposed that the austerity package caused controversies within AUA´s management. AUA´s management has not reached a compromise with its staff yet. As a new collective agreement is still missing, the supervisory board meeting has been postponed by March 13. Only eight days are left for the management of Austrian Airlines to agree on a new collective agreement with the employees. An acceptable solution for both sides may be barely found. Austrian Airlines is endangered to face persisting disputes. The conflict between the management and the works council sharpened further. 2,300 employees of Austrian Airlines are endangered to be forced to switch to another collective agreement. AUA hopes to reach an agreement. Due to the increasing price pressure, Austrian Airlines has to focus on new markets. New target markets are Eastern Europe and the Middle East region. After serious warnings of the management of Austrian Airlines, the works councils are ready to talk about new collective agreements. In order to achieve the austerity targets, Lufthansa centralizes operations. Austrian Airlines is highly affected. Rumors on Austrian Airlines do not end. A sale by Lufhansa is discussed, even the insolvency is not excluded. Austrian Airlines traffic result for January 2012: 7.1 percent increase in Passenger Volume. European traffic rose slightly stronger. The workforce at Austrian Airlines feels uncertainty. Even a bankruptcy is feared. 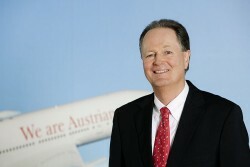 Christoph Leitl, President of Austrian Chamber of Commerce (WKÖ), shows support for the management of Austrian Airlines. Austerity plans by Austrian Airline´s new management faces massive resistance. The dispute with employees threatens to escalate. The German Lufhansa Group plans radical cuts in existing collective agreements. The atmosphere among the workforce is aggressive. The new management of Austrian Airlines faces fierce resistance by the workforce. The new austerity package is heatedly contested. Austrian trade unions are strictly against new austerity measures at Austrian Airlines. Management wants to negotiate over new collective agreements. According to Austrian Airlines traffic results, more than 11 million passengers were carried in 2011. Against previous expectations, the Austrian subsidiary of Lufthansa could not improve its results in 2011 compared to 2010. The implementation of further austerity measures faces resistance. Moreover, competition for Austrian Airlines becomes even stronger. Austrian Airlines, a subsidiary of German Lufthansa, is said to cut costs drastically. Old planes will not be replaced anymore. The Viennese business location Austrian Airlines, a subsidiary of Lufthansa, has to become cheaper, says Lufthansa´s CEO Franz. Austrian Airlines Traffic Result: 4.9 percent more passengers in November. 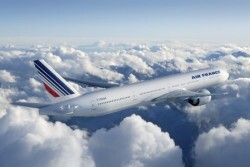 From January to November, the airline recorded an increase by 2.9 percent in passengers in total network. Austrian Airlines, the subsidiary of the German Lufthansa, refocuses on the Austrian home market. Flights to provincial airports should be extended. The Austrian carrier will not receive financial support from its parent company Lufthansa. Staff reductions are not ruled out any longer. The passenger number on European flights grew by 8.7%. Intercontinental routes showed a slight plus of 4%. Austrian Airlines seeks to reduce its charges at Vienna International Airport. 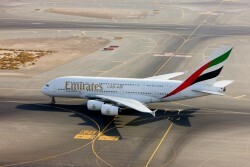 This is due to the landing rights of the Emirates Airline. The Middle Eastern airline was allowed to offer 13 connections per week from Dubai to Vienna. 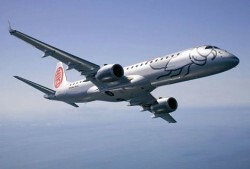 The Austrian carrier improved its operating profit by 30% in the third quarter 2011. A positive result, however, will not be achieved in the full year. The German Airline will keep its Austrian subsidiary despite of persisting losses. The total passenger number of the Austrian carrier increased by 5.8% compared to September 2010. European routes showed a plus of 8.8%. The Executive Board team of the Austrian carrier was increased to three members. Jaan Albrecht takes over the position of Chief Executive Officer (CEO). The total number of passengers of the Austrian carrier increased by 1.7% year-on-year despite a decline on international routes. After ten years as CEO of Star Alliance the German-Mexican dual national will head the Austrian carrier starting on 1 November. 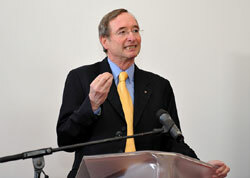 Net profit increased by 13.7% to € 43.3m in the first half of 2011. The investment in Friedrichshafen Airport was written off in full. The Austrian member of Lufthansa Group will not achieve its goal of leaving the loss zone, an executive said on Monday. The Austrian airline recorded a plus in passenger numbers of 2.7% in July and of 2% in the period from January to July. Two days of talks have not brought a solution to the dispute about Emirates’ air rights to Vienna. A decision will be taken in fall. The Middle Eastern airline wants to double the number of connections to Vienna. Austrian Airlines sees unfair competition. Austrian Airlines is still clearly in the red. 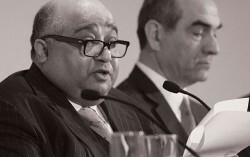 The company was not able to improve significantly on last year’s result in the first six months of 2011. A passenger increase of 1.9% was achieved despite the effects of the crises in Japan and Middle East from January to June. With 1,044,800 passengers in June, Austrian Airlines is down 1.2% on last year. One former and one current board member of the airline were sentenced to penalty payments for not having provided information to the shareholders. Austrian Airlines are going to improve their connections to Western Europe at the expense of their destinations in the East. The company is currently serving 46 airports in CEE.